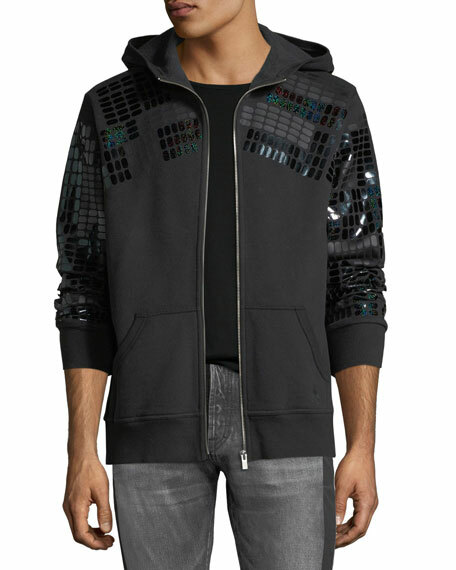 PRPS reflective jacket with hood. Amiri hoodie in reverse tie-dye design. Hooded neckline. Long sleeves. Front kangaroo pocket. Pullover style. Cotton. Made in USA. Kenzo French terry sweatshirt featuring embroidered iconic eye logo. Drawstring hood. Ribbed cuffs and hem. Front kangaroo pocket. Pullover style. Kenzo French terry sweatshirt featuring embroidered iconic eye logo. Drawstring hood. Ribbed cuffs and hem. Front kangaroo pocket. Pullover style. Classic fit. Cotton. Imported. 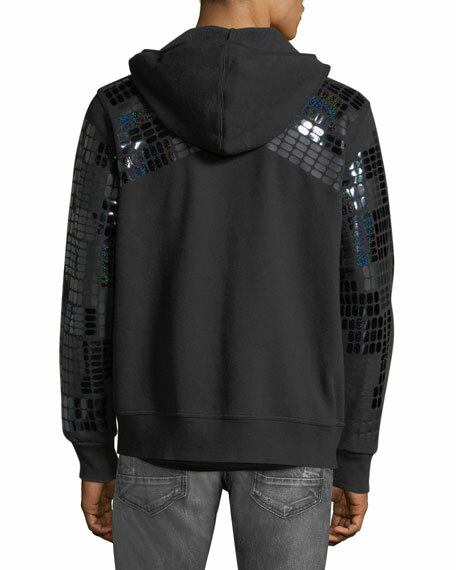 Marcelo Burlon "Fluo Lights" hoodie with wings graphic. Hooded neckline with drawstrings. Long sleeves. Front kangaroo pocket. Pullover style. Cotton. 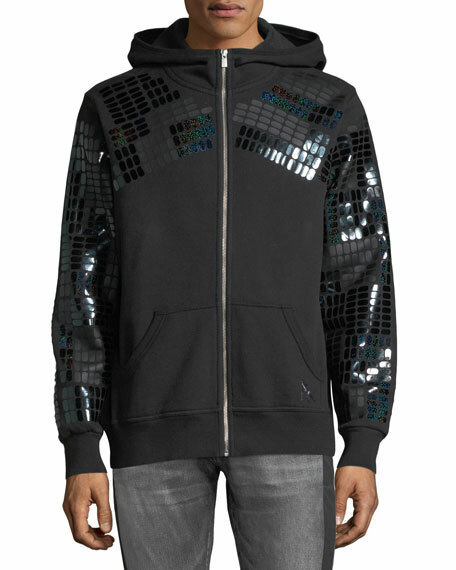 Marcelo Burlon "Fluo Lights" hoodie with wings graphic. Hooded neckline with drawstrings. Long sleeves. Front kangaroo pocket. Pullover style. Cotton. Imported.